Hello everybody and welcome back to Everything Hamradio! Today we are going to continue our series on the Technician Class License Question Pool! Today we will be talking about Going Solo -Â Your First Amateur Radio Transmission. T4B02 Which of the following can be used to enter the operating frequency on a modern transceiver? Twenty or so years ago, the only way to tune your radio to a certain frequency was to turn the VFO knob. That was it, there wasn’t any other way. With the advances in technology, there is now an easier way to do it. Most, if not all, modern radios have a DTMF keypad on the mic or radio itself on hand held radios. If you know the frequency that you want to tune to, you can just enter the frequency on the DTMF pad. Some radios you have to enter the entire frequency, some you just do the last four or so. For example, if I wanted to tune my mobile radio to 145.490, a local repeater where I live, I would type 5490 on my keypad and it would automatically fill in the 14 before the frequency if I had the 2 meter side selected. If I had the 70 cm side of my radio selected it would change my frequency to 445.490. Some radio even have up an own buttons on the tops of the mics like mine does. Answer B is not correct, because CTCSS and DTMF encode has nothing to do with the frequency that you are talking on. and Answer C is not correct because for one, I’m not even sure there is such a thing and two because how is your radio suppose to know where you want it to tune to. Maybe one day we will just have to think of a frequency and it will automatically change to it, or maybe say the frequency, but we are not to that point yet. So, Answers B and C not being correct, Answer D is definitely not correct. So the answer to the question for be A. The keypad of VFO knob. T4B03 What is the purpose of the squelch control on a transceiver? One any frequency there is what is called a noise floor. That is the general electromagnetic noise that is one a frequency. Some people call it white noise. If you have your squelch knob or setting turned all the way down to zero, you will hear that noise just like you would if you press the monitor button that is on a lot of radios now-a-days. When someone keys up to talk, the noise goes away and your hear the person talking, because their signal over powers the noise. The optimal place to set your squelch control is just above where the noise stops. So turn your squelch control all the way down until you hear the noise floor then turn it up slowly until you don’t hear it anymore. This will give you a quiet radio when you are not talking to anyone but give you a good chance of hearing farther away stations. All this being said, if you are talking on a frequency, normally on simplex, and the person that you are talking to starts to get really noisy and you just cant hear them anymore for whatever reason. You can turn your squelch control down and you will be able to hear them again. Granted you will also hear the noise floor in there as well, so you will not hear them as clear as you did before, but if you are trying to hear what they said and they are just not making it to you, you do have a little better chance of hearing them or deciphering what they are saying if you turn your squelch down. This does take practice for your ear to be able to “pick them out of the mud”, but with practice you can do it. Doing this on purpose will even help you out when you decide to upgrade and start talking on the HF bands. On the HF bands, your may hear a faint station in the background of the noise and you will have a better chance of understanding them the more you practice. T2B03 Which of the following describes the muting of receiver audio controlled solely by the presence or absence of an RF signal? This question basically asks the same thing as the one above just from another point of view. See the explanation above. T2B01 What is the term used to describe an amateur station that is transmitting and receiving on the same frequency? Only one person can talk on a frequency and be understood at a time. If more than one person keys up, then you will either hear just jiberish or the more powerful station will overpower the weaker one and you will hear them but not the other. If you are transmitting and receiving on the same frequency you are using what is called Simplex Communication. T2B12 Under what circumstances should you consider communicating via simplex rather than a repeater? This question is kind of one of those DUH questions. Unless you get in trouble with the FCC somehow, there isn’t any endorsements that are on your license so Answer B is not right. Third party traffic can be passed on any frequency that you are licensed to communicate on as long as it’s not with a country that the US doesn’t have a third party agreement with so Answer C is not correct either.Â Answer D, is just there to throw you off with a big fancy wording. So the answer isÂ A. If you are close enough to talk to your friendÂ directly, then you should use simplex to talk. Some people that talk regularly, hang out on the simplex frequency all the time, but if you do that, you might not hear someone else that you might want to talk to on a local repeater.Â If you hang out on the repeater, you will hear more people that you might want to talk to. Once you have made contact on the repeater, if you are close enough to hear each otherÂ directly then you can switch or QSY to a simplex frequency. One way to find outÂ if you are close enough is toÂ listen to the input of the repeater, if you can hear each other then you are close enough.Â Most radios even have a button that will do it for you which is normally label as the Reverse button. It will basically flip the input and output frequencies on your radio. Â Let’s use a local repeater here as an example. The normal output frequency is 145.490 and the input is 144.890, the normal 0.6 MHz, or 600 kHz, separation on 2 meters. If I press the reverse button on my radio, I will be listening to the 144.890 input frequency and when I key up my radio, my radio will transmit on the 145,490 frequency. T2A06 What must an amateur operator do when making on-air transmissions to test equipment or antennas? When people are testing equipment, especially like when you test the SWR on an antenna, people will generally do like a five count or something and then clear with their call sign. The five count is not a FCC requirement but is more of a time to read and understand what the SWR meter is saying before unkeying. The only requirement that the FCC has is that you identify your station at the end of any transmission. So you could just key up you radio and just transmit what is called dead air or silence long enough to get your reading and then say your call sign and unkey. T2A07 Which of the following is true when making a test transmission? Whether you are testing your equipment or talking to a friend the rules are the same. You must identify your station every ten minutes and at the end of your transmission. It doesn’t matter how long it is, or how powerful it is, rules are rules and should be followed. By not following the rules, you can get in trouble, big time, by the FCC. Check out this post, if you want to see what could happen if you don’t follow the rules. T2A08 What is the meaning of the procedural signal â€œCQâ€? CQ a code that is used to call any station. It gives the CW user an easier and shorter transmission time when trying to find someone to talk to. So is it only used on CW? No way! CQ is used on all forms of amateur communications. During contests, like Field Day which happens the last full weekend in June every year, you will hear people saying things like, “CQ Field Day CQ Field Day, this is K5CLM, Field Day”. This lets other people on the frequency know that you are wanting to talk to someone. If you do something like this though, make sure the frequency is not in use by anyone else before you call CQ. T2A12 Which of the following is a guideline to use when choosing an operating frequency for calling CQ? All the answers on this question are correct so the answer is D. First and foremost, you always want to make sure that you are within the frequency ranges that you are allowed to talk on and even the part of the band that uses the mode that you are using. The bands are slit up into several different modes, like between frequencies X and Y are used for CW and between A and B are used for voice. There is nothing more embarrassing or frustrating, depending on which side you are on, when you are trying to talk using voice and someone is sending CW on the same frequency. The second most important thing that you should always do, is to listen before you key up. In both my amateur and my law enforcement career, I have had many occasions where someone will be talking and then someone else will key up and just start talking. It may be a mistake but it makes that person look rude and disrespectful. It is kind of like when you and friend are having a conversation face to face and then another person comes walking up and just starts talking while you are talking. After you have listened for a little bit, key up and ask “Is the frequency in use, <Your Callsign>”. If you don’t get a response, then you are free to make your call. T2A05 How should you respond to a station calling CQ? Let’s say that you are scanning through a band and you come across someone calling CQ. You don’t know him/her, so what should you do. Since they are not calling anyone in particular, it’s your responsibility to call them, so you would transmit their call sign followed by your call sign. What if you know them though, do you still have to do that? No, not really. Remember the rule that states that you have to ID every ten minutes and at the end of your transmission? If you know the person, you could just say something like, “Hey Joe, <Your Call sign>”. For the purposes of this question though, its their call sign followed by your call sign. T2A04 What is an appropriate way to call another station on a repeater if you know the other station’s call sign? Even though you don’t have to say a person’s call sign to call them, you always have to say yours when it might be your last transmission. However, the answers to this question, is more of the best answer out of the four. Therefore, Say the station’s call sign then identify with your call sign would be the correct answer. T3A01 What should you do if another operator reports that your stationâ€™s 2 meter signals were strong just a moment ago, but now they are weak or distorted? Most of the time, this happens when you are driving down the road, or on your hand held. This would rarely happen while you are sitting still. So the best option, just like with a cell phone when you can’t hear someone, move a little bit or increase your power or direction of your antenna and try again. It’s like that old Verizon commercial, “Can you hear me now? Good.” If you on your home station and you have a directional antenna, you can try and move your antenna one way or the other and it could help, but if you are using an omnidirectional antenna, then there isn’t anything you can do other than increase your power, if possible. You can do the same thing with your hand held as you can with a directional antenna. If you have your hand held on your belt and you are talking on a speaker mic and people cant hear you. Trying rotating your body around to where your radio is facing the person you are talking to. Your body deflects some of the RF energy, therefore if it is between you and the person you are talking to or the repeater, you won’t have as strong of a signal as if you turn around where you body isn’t between them. T3A06 What term is commonly used to describe the rapid fluttering sound sometimes heard from mobile stations that are moving while transmitting? T2B08 Which of the following applies when two stations transmitting on the same frequency interfere with each other? I can see two answers to this question, so the answer would be which is the best answer of the two. Signal strength shouldn’t even play a part in this question, although sometimes it does unfortunately. So the two that are left is A and C. I can see C being the answer because no one has the absolute right to an amateur frequency, so it is basically first come first serve. However, that being said, what if you are talking on an HF frequency and both stations have been talking on the frequency but neither of them could hear each other. Then the band changes some and they can hear each other, what do you do then? That is where the best of the two answers come into play. The amateur radio world is suppose to be a place where everyone is nice and courteous and everyone gets along. Yea, I know, doesn’t always happen but that is the way that I see it. So the answer would be A.Â Common courtesy should prevail…. QRM Do you have interference? [from other stations] I have interference. QST â€“ Here is a broadcast message to all amateurs. QUE Can you speak in … (language), â€“ with interpreter if necessary; if so, on what frequencies? I can speak in … (language) on … kHz (or MHz). T2B10 Which Q signal indicates that you are receiving interference from other stations? T2B11 Which Q signal indicates that you are changing frequency? T8C03 What popular operating activity involves contacting as many stations as possible during a specified period of time? Do you remember a little bit up the page where we were talking about the Squelch Control and how turning it down can help you hear things on the HF bands. This question is what I’m talking about there. Contesting is answer to this question and there are soooo many different contest or special events that go on through out the year. There is normally several things a month, every month. Check back tomorrow for the list of contests and events that are going on next month as they are listed on the ARRL website. There are contests like Field Day, which is the biggest, light house round ups, battle ship round ups, special events for different things, like the Olympics or an anniversary of something major or even just an anniversary of a club. If contesting or special events sounds interesting to you, there is plenty of opportunity to do it in this hobby! T8C04 Which of the following is good procedure when contacting another station in a radio contest? struggle for victory or superiority. A lot of people take contesting very seriously and want to win! In order to do that in amateur radio contests, you need to getÂ more contacts than anyone else. If you are going to do that, you have to keep your exchanges short and sweet and to the point. Leave the rag chewing for another time. Basically you want to pass your station information and call sign and get off the mic so you can contact someone else. T8C05 What is a grid locator? The world is broken up into a bunch of squares. They are used to help other stations locate where you are in relation to them or just where you are in general if they are not familiar with the town/state/whatever that you live. 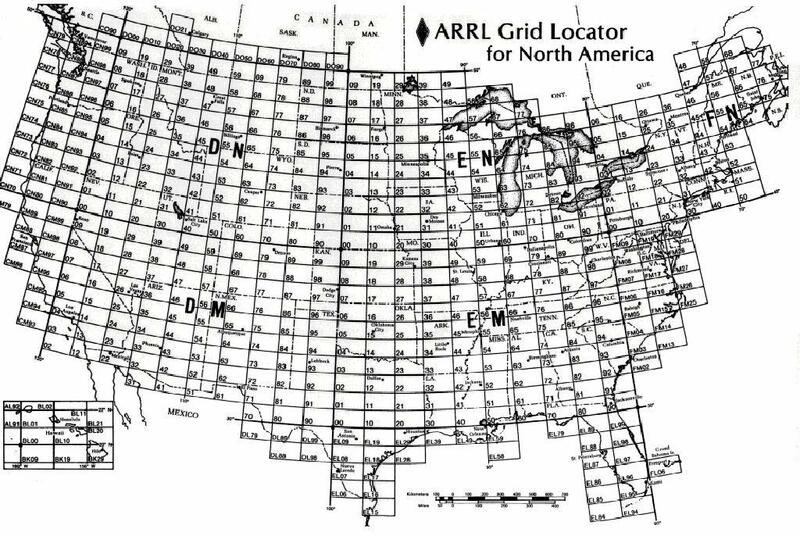 If you would like to find out what your grid square is, check out this Grid Square Locator Map by K2DSL. T3A02 Why are UHF signals often more effective from inside buildings than VHF signals? The short the wavelength the better penetration you will have through walls, however the longer the wavelength the farther it will go in the open. So it really all depends on what you are doing to determine what band will be the best to use. At the local hospital here, I have had officers there that could not get out on our regular channel which is on VHF but if they switched to the 800 MHz UHF frequencies, they could get back to me with out any problem. T3A05 When using a directional antenna, how might your station be able to access a distant repeater if buildings or obstructions are blocking the direct line of sight path? So lets first talk about the answers that are not right. Changing your polarization wont help at all, it will actually make it worse and you will still have the building in the way. It kind of like trying to put an envelope into a slot, if you turn it perpendicular to the slot, is it going to go in? Nope, next! Increase the antenna SWR?! Really? First off you would have to mess with the antenna to do this and secondly if you increase the SWR, you will have less radiated power going out. Could that go with the Less is More philosophy? Nah! So that leaves two left. Trying the long path would work if you were on HF. The Long path is exactly 180 degrees off the direction of the person you are talking to. If the person is due north of you, you can turn your beam to face due south and you might be able to talk to him. Sometimes it works, sometimes it doesn’t but you can always try. So that leaves us with Try to find a path that reflects signals to the repeater. It’s kind of like in pool when you bank the ball off the side of the table in order to make it into a pocket. If you can bounce your signal off a metal billboard, water tower, building, etc, you can possibly make it to the repeater. Give it a shot if you have a directional antenna, it could be lots of fun. So that brings us to the end of this section. Next week we will be talking about Repeaters! Please share my blog with your friends and if you have not done so already, please subscribe to my email list to get the latest and quickest notifications of any new post that I publish. You can sign up in the box on the sidebar. If you would rather, you can also sign up for my RSS feed. Also please like my Facebook page and follow me on Twitter and Google+. Thanks for stopping by. If you have any questions or comments about today’s post, please leave them in the comments below or shoot me an email a k5clm@everythinghamradio.com.